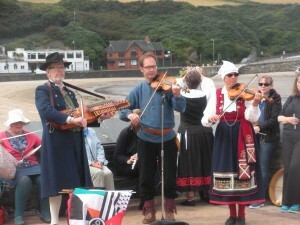 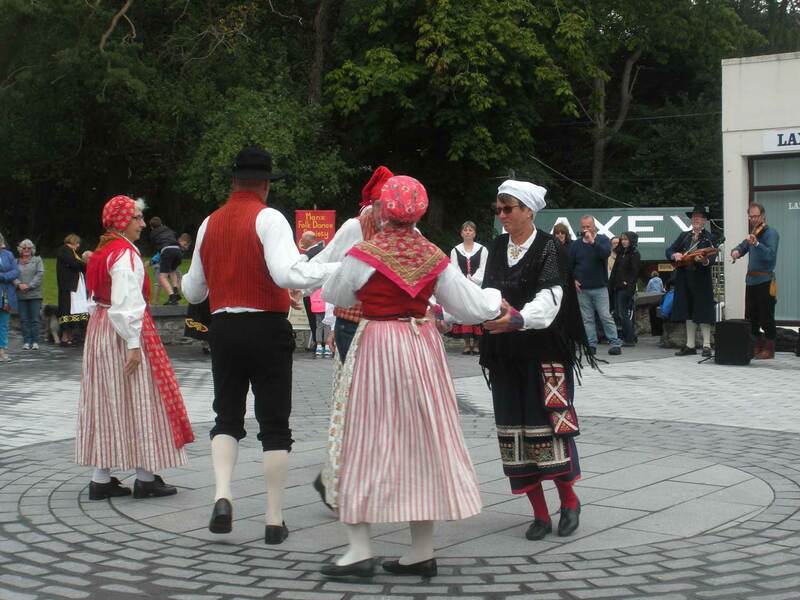 On the evening of Monday 8th August 2016, 10 dancers and musicians arrived from Ljungby, Sweden to visit the Manx Folk Dance Society. They stayed in the members’ homes and were looked after by them for the next 6 days. 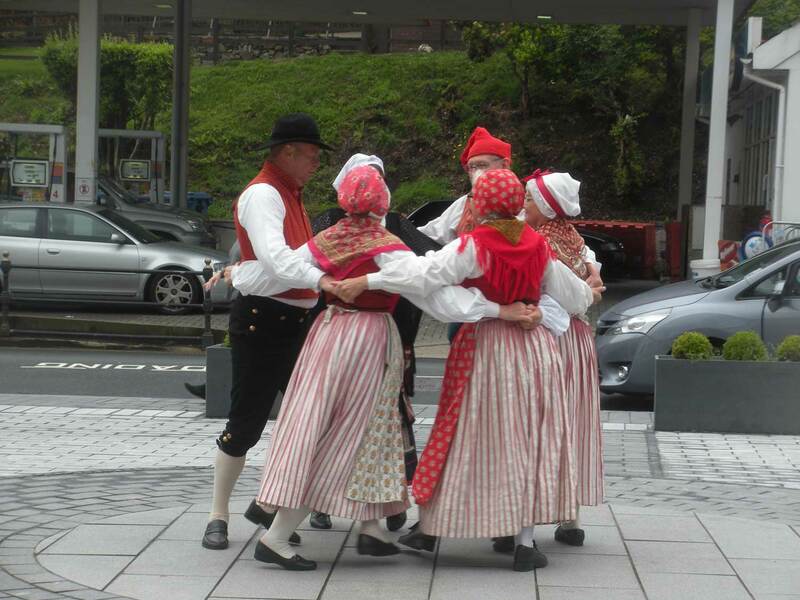 It is wonderful to catch up with each other again as the 2 groups first met in 1982 at a Festival in Morecambe & Lancaster and have stayed in touch since then, with many visits for the groups to get-together. 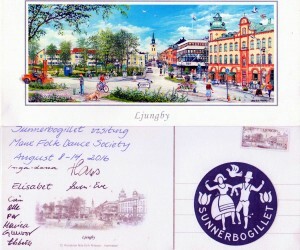 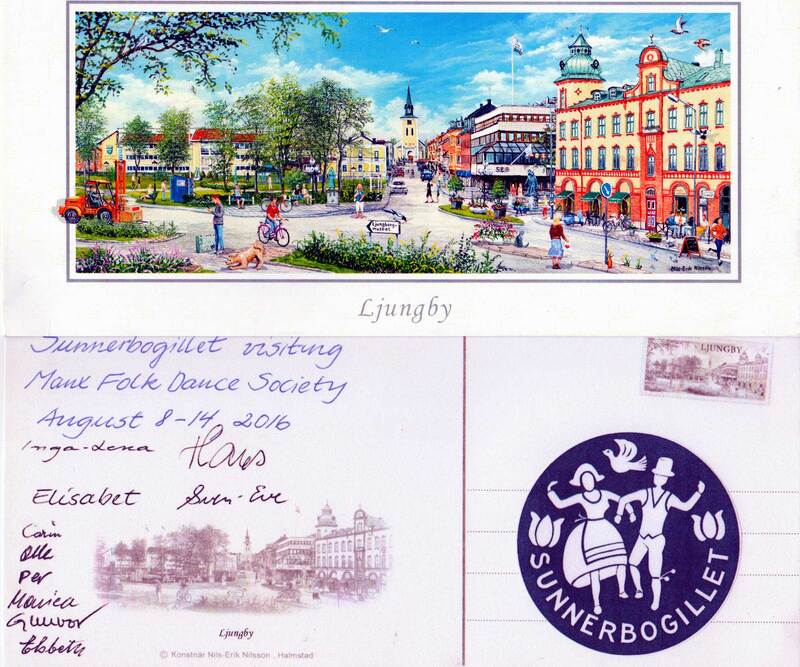 The Ljungby group, Sunnerbogillet first visited the Isle of Man 30 years ago in 1986! On this visit, the first thing they did was to meet the Mayor, John Skinner at the Douglas Town Hall where they were able to perform a short dance for him and the Mayoress, before enjoying light refreshments with them. 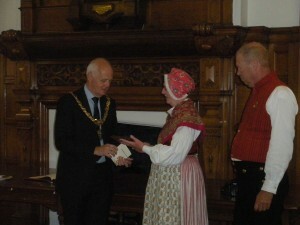 There was an exchange of gifts. 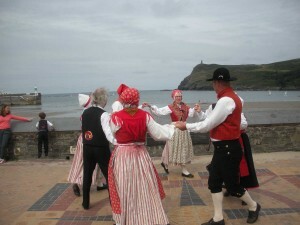 After lunch they had a ride along the Promenade on the Horse Tram to the Derby Castle, before going for a fascinating look around the Manx Museum.That evening they had the chance to practice their dances and socialize with their friends. 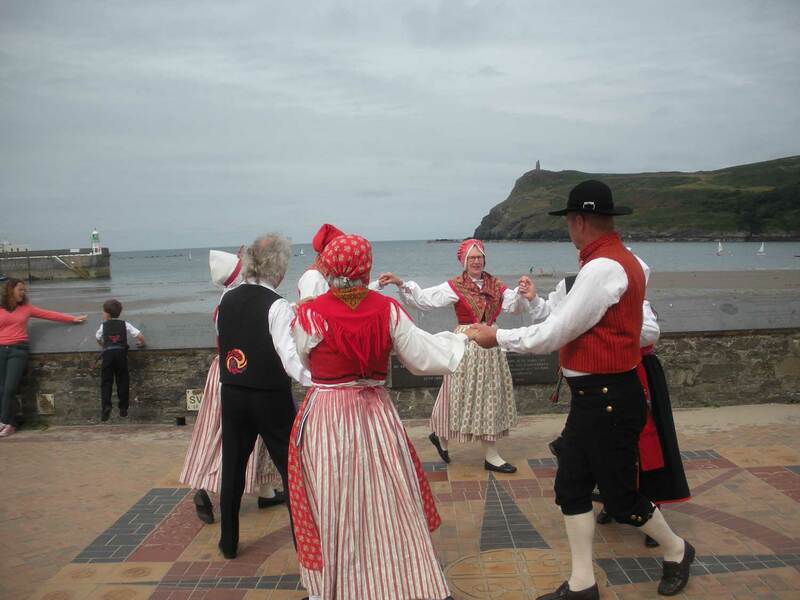 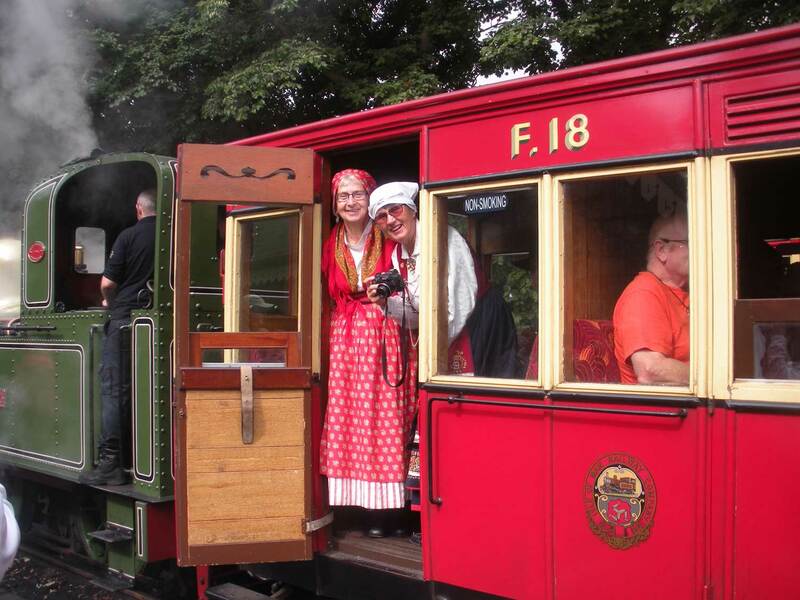 On Wednesday they took the Steam Train to Port Erin, for both groups to dance on the Quarter Deck, before it started to rain! After an ‘indoor’ picnic lunch they hopped on the Bus back to Douglas. 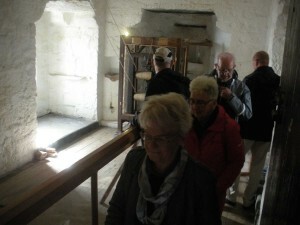 Later there was a tour of Hooded Ram Brewery, with samples – which went down well with the Pizzas which were brought in! 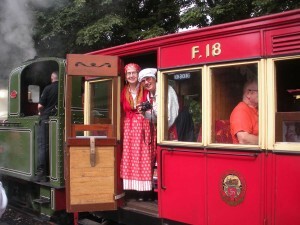 On Thursday they went in the other direction to Laxey on the Electric Tram, there was a slight delay as the Tram they wanted to catch was full, but by taking the next one and delaying their dance performance by 30 minutes, the rain had stopped and the sun had come out so that both groups could dance on the Village Square near Laxey Station. 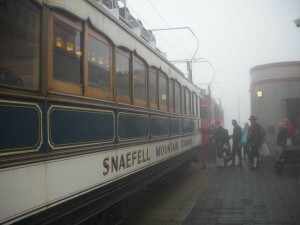 Then it was up Snaefell on the Mountain Railway – into the mist, for lunch and to attempt to see the views!! 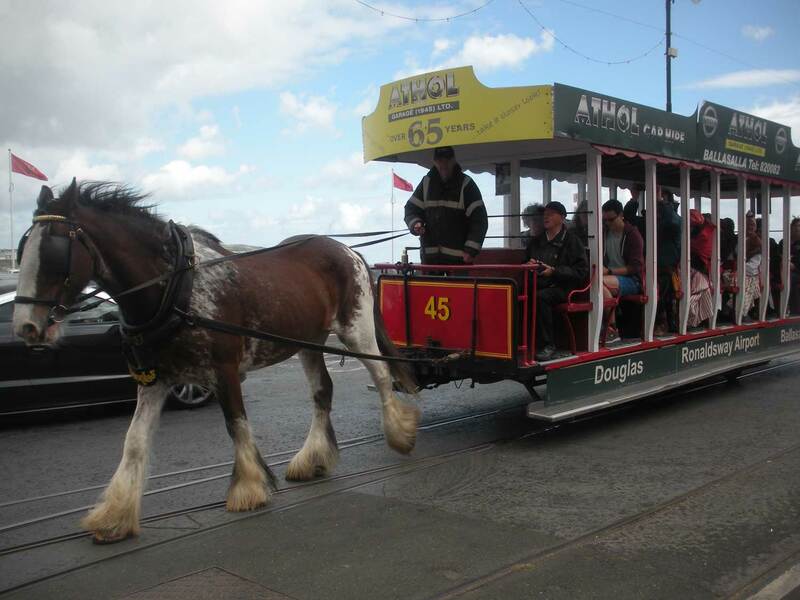 The rest of the day was free, with most retracing their steps back to Douglas. 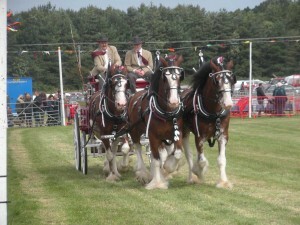 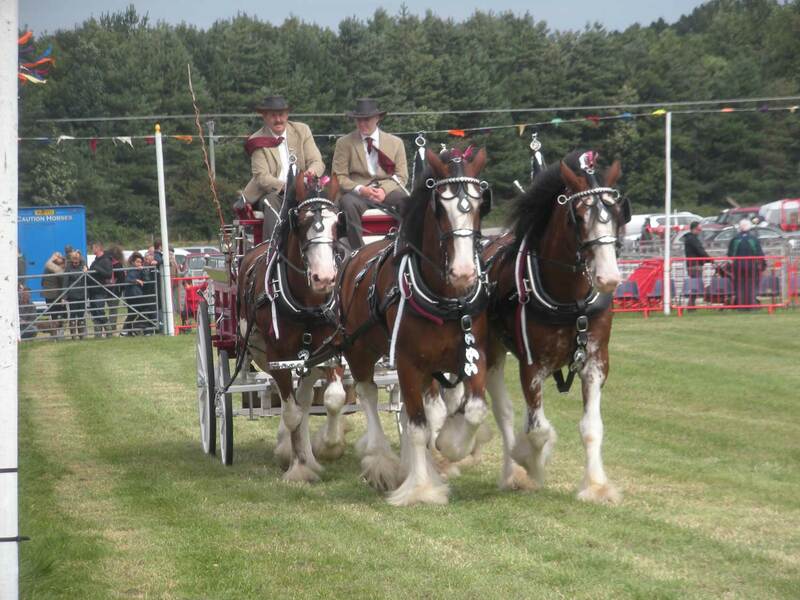 Everyone had a great day at the Royal Agricultural Show at Knockaloe on Friday, before enjoying a Music Session at the Crosby Hotel in the evening. 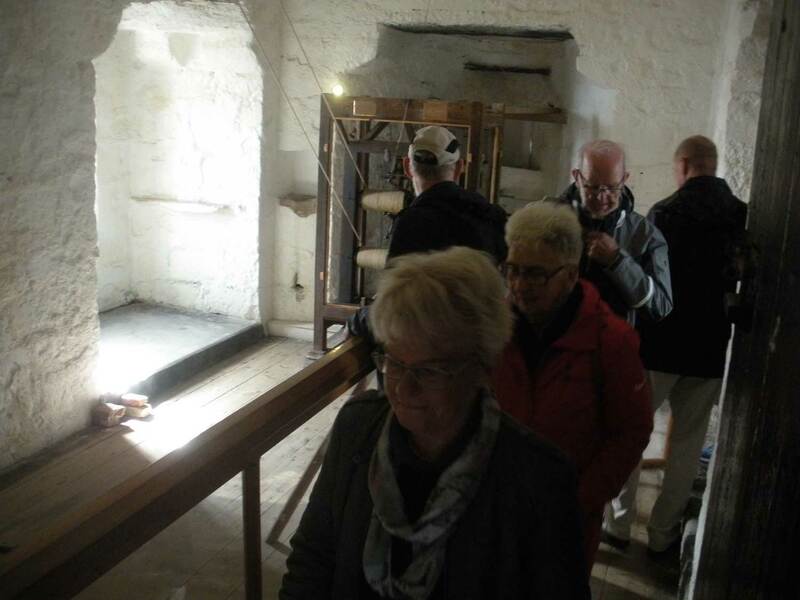 On Saturday the visitors went to see Castle Rushen with lunch at the Sound Café, then they all went their owns ways to visit other attractions or the shops before a Farewell Party in Onchan Village Hall that evening. 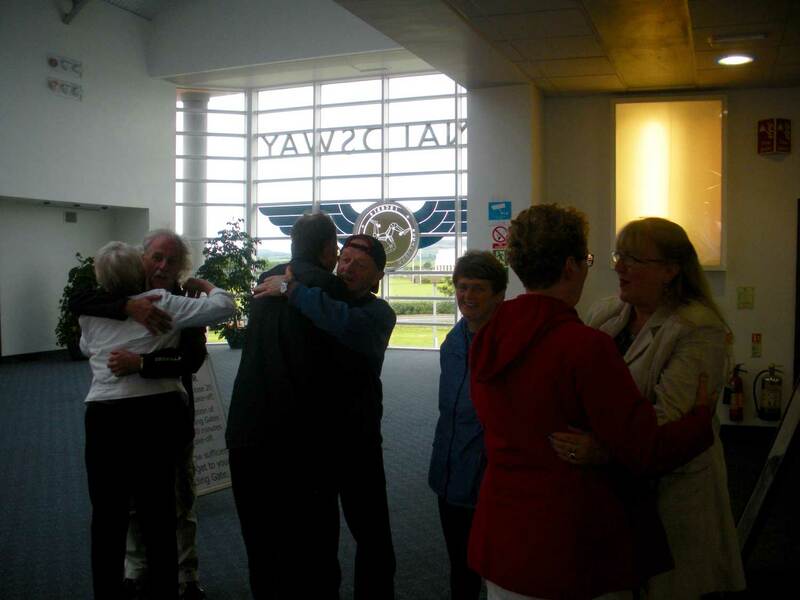 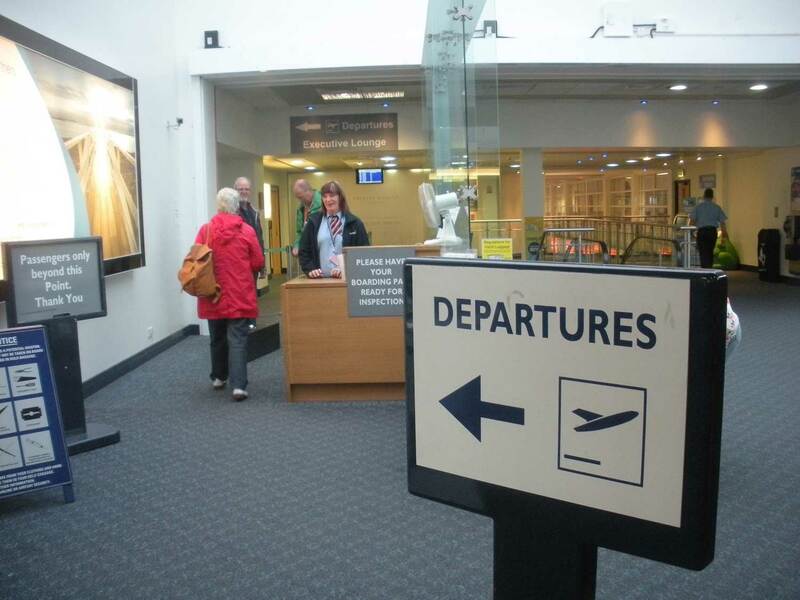 There was some dancing, refreshments including homemade cakes and a lot of talking and reminiscing, before an exchange of gifts and home for a relatively early night before their departure from Ronaldsway Airport early the next morning. There were a lot of happy people, but sad ‘good-byes’ as they left. 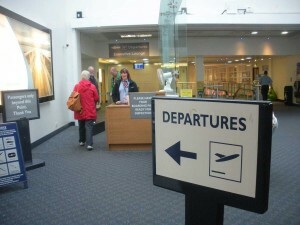 Luckily the visitors then had a smooth journey, arriving home during the evening.